*When in the library, you must be reading or working on assignments. *Passes are needed during class time. 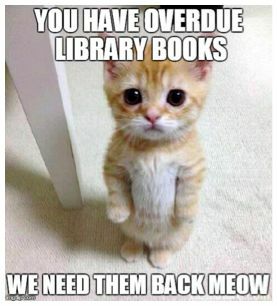 Students may check out up to five books at a time. Books are due two weeks from checkout. Laptops are due one week from checkout. Students will pay fines on late, damaged, or lost items. 10 cents are charged per day. Students are responsible for paying for lost or damaged items.